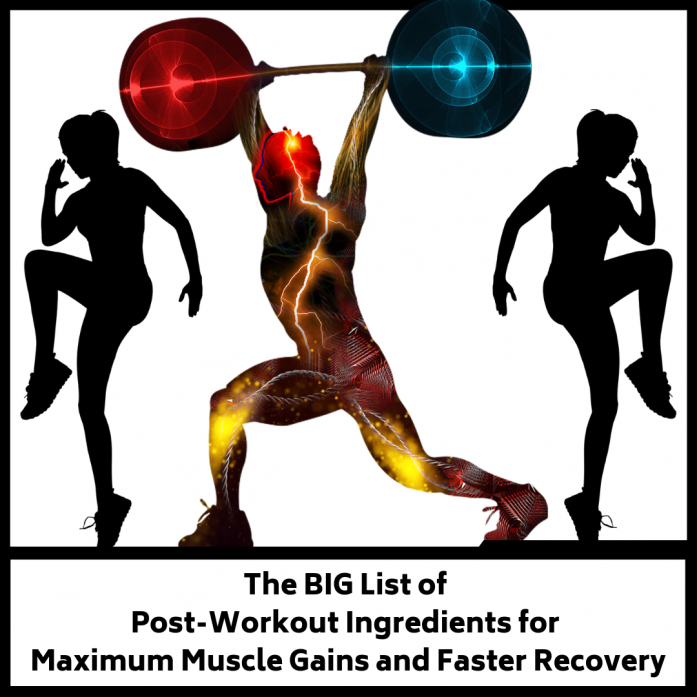 Our big list of post-workout ingredients provides the most effective ingredients to look for in a post-workout supplement. Post-workout supplements help us maintain energy and vigor after intense physical activity. They also help us recover faster after intense exercise. Now, there are various different types of post-workout ingredients, each having very different effects on the body depending on our unique workout routines. So, we need to ask ourselves some questions when choosing the best post-workout. Which are you primarily engaged in, aerobic or anaerobic exercise? Which post-workout ingredients complement your fitness routine the best? Well, in this review, we’ll list and get into which post-workout ingredients may work best for you and why. As we sweat during a workout, certain minerals in our bodies get depleted. Hence why we need to replenish sugar and electrolytes post-workout. In addition, muscles get damaged and fatigued during exercise. So, we can use post-workout supplements to help the muscles regain strength faster post-workout. For example, athletes engaged in contact sports can benefit greatly from post-workout supplements with ingredients that help the muscles recover faster. And if you’re looking for a list of safe, effective post-workout products and brands, check out our complete guide on the best post-workout supplements of 2018. In addition, women may be interested in our guide on the best post-workout supplements for women. First on our list: Ajuga turkestanica is a medicinal flowering plant from Uzbekistan. Recently, anabolic compounds known as ecdysteroids were discovered in Ajuga turkestanica. Ecdysteroids are natural and known to mimic the effects of anabolic steroids, making them a safer alternative to synthetic anabolic steroid supplements. When taken in a post-workout, Ajuga turkestanica can prevent post-workout catabolism. In addition, Ajuga turkestanica acts as an adaptogen, minimizing negative effects of stress on our bodies. Overall, Ajuga turkestanica is a good post-workout ingredient for muscle maintenance and recovery. Beta-Alanine is a non-essential amino acid that is naturally present in our bodies. 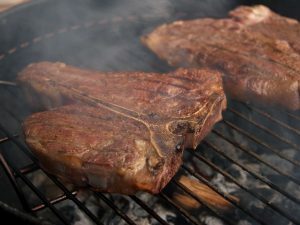 We can also get it from high-protein dietary sources. As a post-workout ingredient, beta-alanine supports the synthesis of carnosine in the muscles. Carnosine helps prevent muscle fatigue. However, beta-alanine works as a pre-workout too. If we take it before a workout, it can improve muscle performance during the workout, similar to creatine. Keep in mind, however, that like any other amino acid, we must supplement beta-alanine regularly to elicit noticeable effects. BCAAs consist of the 3 essential amino acids valine, leucine and isoleucine. These amino acids are essential to increase muscle mass and reduce recovery time after a workout. They do so by playing different roles in our biochemical processes. As post-workout ingredients, BCAAs can reduce muscle protein breakdown while increasing muscle protein synthesis. This means BCAAs can keep the body in its anabolic state, even after a workout and possibly during sleep, too. Bodybuilders often prefer BCAAs to other post-workout supplements because they can increase muscle growth without as many unnecessary ingredients. Cannabidiol is a non-psychoactive compound found in cannabis and hemp. That’s right, CBD contains absolutely no THC, so it won’t get you high or make you fail a drug test. CBD also has plenty of known therapeutic effects, which have been demonstrated in numerous clinical trials. All in all, CBD is an effective post-workout supplement for pain management and inflammation among athletes and the like. However, scientific studies have not specifically shown that CBD can help with post-workout recovery. As such, you may want to stay tuned for further research development. Cannabidiol does not induce intoxicating or addictive side effects. CBD does not contain THC; therefore, it is a safe, natural, powerful post-workout regimen that will not affect a drug test. 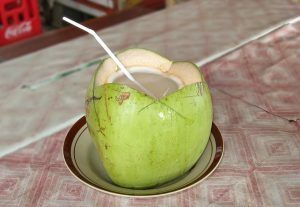 Coconut water has been a natural source of electrolytes in tropical countries since way before the production of electrolyte sports beverages. The ideal post-workout coconut water comes from young, freshly opened coconuts. This natural source of electrolytes is also an amazing source of sodium, potassium, calcium and other ions necessary for proper nutrition. Not to mention, coconut water can supply our bodies with essential minerals while hydrating it at the same time. Overall, coconut water is an all-natural post-workout ingredient containing fewer calories and sugars compared to most popular sports beverages. As such, it is a beneficial post-workout supplement for those following weight-loss programs and fitness routines. Did you know coconut water is free from bacteria and other microorganisms? Thus, it can be safely used for intravenous hydration when necessary. Creatine is a popular dietary supplement for athletic performance and bodybuilding. However, we can also get it from dietary sources like meat. This important post-workout ingredient supports the muscles by providing adenosine triphosphate (ATP) as a source of energy. In post-workout supplements, creatine can minimize muscle damage caused by physical activity and reinforce post-workout muscle regeneration. Eventually, it promotes muscle growth with continuous supplementation and training. Contrary to what you may have heard, creatine is an effective workout supplement no matter what time we ingest it. We can use it before, during or after a workout for optimized gains. All in all, creatine is popular because it has proven to be safe, legal and easy to obtain. It has also shown to increase muscle strength and protect cells from oxidative stress with continuous supplementation and consistent exercise. Dextrose is a form of sugar (glucose) often added to oral rehydration salts (ORS) to treat certain health conditions. Health issues can result from dehydration and the depletion of too much energy during a workout or athletic event. For example, hypoglycemia often occurs during athletic performance or bodybuilding when we do not get enough sugars from foods, beverages or supplements. However, dextrose can prevent this from happening. In post-workout supplements, dextrose can restore lost sugars to keep blood glucose levels in a safe range. It can also increase muscle endurance during aerobic exercise. 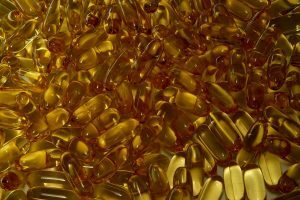 Fish oil is a common dietary supplement known to enhance overall health. It contains omega-3 fatty acids (EPA and DHA), which have shown to elicit its positive effects. Overall, fish oil is an ideal natural remedy for post-workout muscle soreness and inflammation. Not to mention, it has various other health benefits. For example, fish oil is a solid post-workout supplement to complement weight-loss programs because it can help burn fat without harmful side effects. Glycine is a nonessential amino acid that is naturally present in our bodies. It is a precursor to certain proteins, such as collagen. Glycine may support muscle growth and recovery when taken as a post-workout supplement consistently. However, we can also obtain glycine from dietary sources. So, additional supplementation may or may not be necessary depending on your diet. Research examines glycine as more of a sleep aid than a post-workout ingredient. Moreover, clinical trials haven’t examined glycine as a post-workout supplement, specifically. As a result, its effectiveness as a post-workout is still inconclusive. Alfa-Hydroxy-Isocaproic Acid or HICA is a leucine-derived compound that naturally occurs in our bodies. It is also an amino acid that plays a role in different biochemical processes in our bodies. 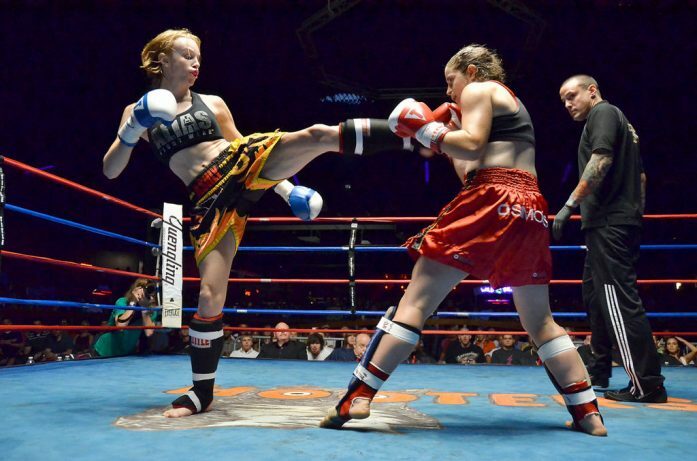 It appears that HICA hinders the body from falling into its catabolic state. As a post-workout supplement, this means that HICA will increase muscle protein synthesis, prevent muscle breakdown and enhance muscle growth. In addition, HICA is a popular post-workout supplement because it is able to prevent muscle cramps and reduce muscle soreness. About 90% of human L-glutamine is found in the muscles. So why do we need additional supplementation for an amino acid that is already so abundant? Well, L-glutamine is a conditionally essential amino acid that is easily affected by stress. For example, intense physical activity can be stressful on the body. Stress depletes L-glutamine levels, which negatively affects the muscles and immune system. As a post-workout ingredient, then, replenishing L-glutamine can enhance muscle recovery and reduce the effects of stress. In addition, it helps improve immunity to illness and infection, which is often depleted during excessive physical activity. One study on L-Glutamine concludes that it reduced recovery time and decreased muscle soreness after “eccentric exercise.” Overall, however, the effects of L-glutamine may depend on the type of exercise the user is participating in. L-carnitine and L-tartrate (LCLT) are two organic compounds whose jobs are to make post-workout supplements easier to absorb, for one. The compound L-carnitine is a type of amino acid that the body already produces. L-tartrate is a salt that comes from tartaric acid. LCLT has shown to increase fatty acid oxidation and reduce free radical formation. As a post-workout supplement, LCLT can prevent muscle fatigue and post-workout muscle weakness. In addition, L-carnitine L-tartrate has testosterone boosting properties that may further support the increase of lean muscle mass. Leucine is one of the 3 essential branched chain amino acids. Like any other amino acid, we can get it from high-protein dietary sources and post-workout supplements. However, since we can easily get it from food, leucine supplementation remains controversial. Yet, despite its controversiality, the popularity of leucine as a post-workout supplement is increasing. This increase in popularity is due to the reputation of leucine. It has shown to promote muscle growth and muscle protein synthesis during calorie-restricted diets and intermittent fasting. Leucine may even help prevent catabolism, which causes muscle breakdown during exercise. Thus, leucine is an ideal post-workout supplement for muscle gains and fat loss. Did you know that whey is also an ideal source of leucine? The pomegranate fruit has potent antioxidant properties. Thus, it is an ideal post-workout supplement to fight oxidative stress, which often occurs during excessive physical activity. In addition, pomegranate can increase blood flow to the muscles to aid in post-workout recovery. Not to mention, it may even have nootropic effects on the brain. 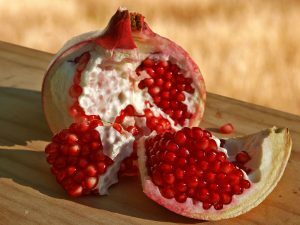 Basically, pomegranate has numerous health benefits. It is even present in different skin care products because of its scent and anti-aging properties. Did you know that the active compound responsible for the health benefits of the pomegranate fruit is called Ellagitannin? Tart cherry is a popular fruit with plenty of health benefits. Recently, it has been gaining popularity as a dietary supplement often taken for joint health and sleep. The phytochemicals found in tart cherry have shown to be responsible for its post-workout benefits. These phytochemicals include anthocyanins, flavonoids and isoflavonoids, and phenolic compounds. All in all, tart cherry is an effective post-workout supplement, especially for endurance athletes and bodybuilders who are prone to muscle fatigue during rigorous training. Last but not least on our list of post-workout supplements, Whey protein is one of the most popular protein supplements on the market today. And there are many reasons for this. If you’re looking for ultimate post-workout effects, keep in mind that the effects of whey only last for up to 3 hours after ingestion. As such, you should take it immediately after a workout for maximum post-workout gains. In addition, whey protein can be the perfect complement to certain weight loss programs since it helps decrease muscle breakdown while supporting fat loss.